My page one can end up a year later as page two hundred, if it’s even still around. Randolph Lundine is a manuscript consulting service dedicated to offering writers of all levels professional, insightful guidance on their writing projects. We are passionate about the craft of writing, and equally so about the craft of editing. All writing—be that of the novice or the experienced author—can be made better by the impartial critical eye. We believe there is a real need for professional editorial services. Many writers do not have a support system of readers, workshops, and peers to assess their work. Moreover, as the publishing world becomes increasingly beholden to a diminishing bottom line, editing becomes a luxury few publishers or agents can offer. This means most authors will never receive the close, developmental edit that once defined the editor-author relationship. We believe this work is vital to a vibrant book culture and our service fills this void. We invite you to explore our site, find out who we are, how we work, and if Randolph Lundine is the right place for your project. The road to a final, polished manuscript can be long and arduous. We have the experience to help you on your journey. Unlike many editorial services, we approach manuscripts with both an editor’s and a writer’s eye. We ask hard questions: will this work as a book? Will publishers and other readers read past the first page? Is there enough narrative impetus to propel them beyond that first page? With over twenty-five years combined experience in the publishing industry, the editors at Randolph Lundine approach each project with a critical and professional sensibility. We have worked on a variety of book projects, including trade and scholarly manuscripts. 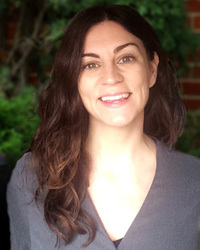 Heather Lundine worked as an acquisitions editor and editor-in-chief at one of the country’s largest university presses. Her acquisition work focused on trade nonfiction, history, academic monographs, and food writing. 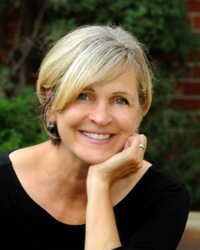 Ladette Randolph is an award-winning writer, and a former acquisitions editor and director of one of the country’s largest university presses. She currently edits one of the nation’s premier literary journals. Her acquisition work focused on fiction, memoir, creative nonfiction, and scholarly humanities works. We are open to working on all genres of writing, excluding poetry. Our specialties are: creative and narrative nonfiction; fiction; memoir; scholarly works; and helping scholars turn dissertations into books. To have your work considered, we ask that you complete the questionnaire and attach a brief description of your project in the allotted space.